Have there been members of your church who dropped out this year? Maybe they just stopped coming and your not sure why. Christmas events at your church provide you with an excellent opportunity to reach out to these inactive members once again. Here is how you can do this. 1. Look over your list of inactive people. These could be regular attenders who have stopped coming to church, or a more formal category in your membership rolls. Look specifically for those who haven’t been 6 weeks or more in the last 6 months. 2. Identify those that could potentially return. Some of these people have already shared reasons for dropping out of your church. They’ve moved out of town. They’ve started attending somewhere else and making new friends. They realize your congregation wasn’t a fit for them. They had a painful conflict with someone that hasn’t been resolved. But there will be some people whom you have not heard from, nor do you know their reason for their prolonged absence. These are the people you want to make an effort to reconnect. 3. Send them a handwritten personal invitation. Hand write a note and invite them to attend one of your Christmas celebrations. At least in the US, the mail system is still pretty good at delivering mail. A hand written note from a member, or from the pastor, can communicate a lot of pastoral care. In other countries that may not have a developed mail system (like certain ones in Latin America), find some other way to make that personal invitation. Maybe a personal email, text message, or blackberry message. Maybe a personal phone call. In other words, make this form of contact highly personal to the people you want to reconnect. Don’t send a bulk email to everyone. Customize it and personalize it. Invite them to celebrate Christmas with your church family. It might be that special musical production. It might be for that Christmas Eve service. Pick something in your Christmas celebrations to make your invitation. 4. Pray for the results. Before you send out the letters, and while you are waiting for a response, spend time in prayer. Pray for the families you are inviting. Pray that the Lord would show you and your team how to minister to any need they may have. Ask the Lord to give you eyes to see their need and see how to potentially help make new connections with new friends. People have their reasons for dropping out of your church. Christmas is a great time to re-invite them to connect and a chance to perhaps start a new relationship with them. It’s a time to bring healing, a time to make amends, and a time to start over. How you minister to people who do return is dependent on how the Lord leads you all. 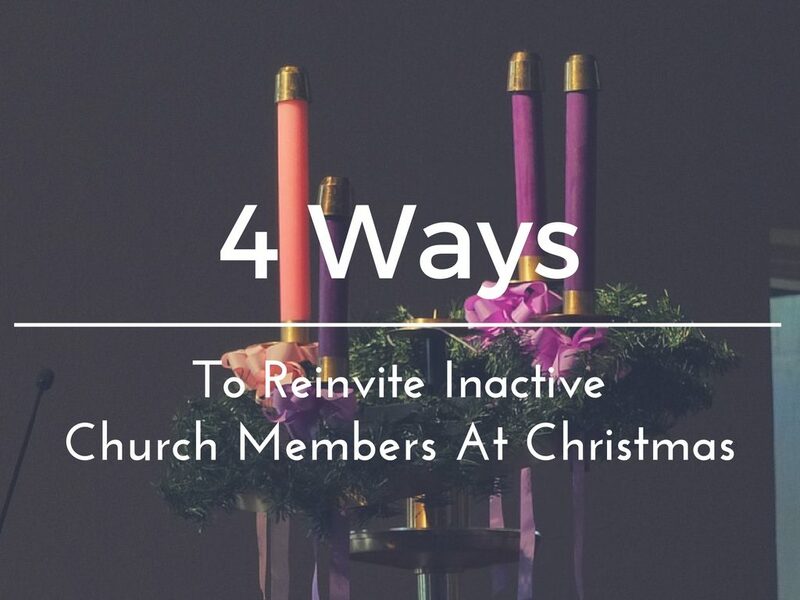 But at least use the Christmas season to make a step towards inviting people to come back to your church. Should we invite unsaved friends to church? Business Cards that Church members can give away.